Win a 2018 RS 3 2.5 TFSI, 400 hp, quattro S tronic sedan! 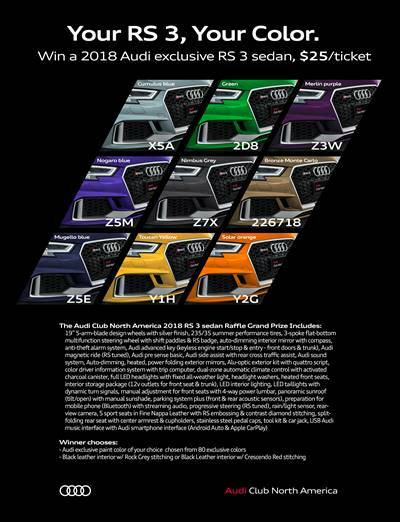 ACNA members may enter to win a stunning 2018 RS 3 sedan and choose an Audi exclusive paint color from a selection of 80 colors! 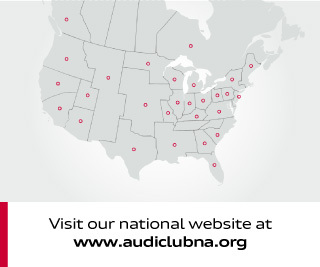 The Kentucky Chapter of the Audi Club North America was established in 2005. One of our many goals is to provide members with information and opportunities to get involved. In the upcoming year we plan on putting together road rallies, technical sessions, races, and social functions. 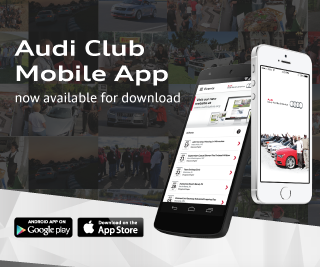 Visit our national website at www.audiclubna.org and download our mobile app to find the latest news and events.